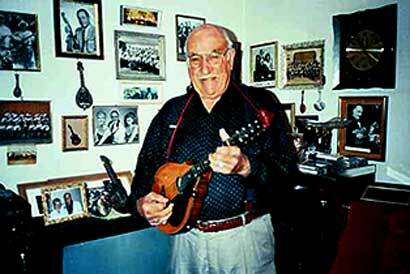 Gino Pellegrini, called a "Bay area legend" by those who knew him, had played in several orchestras in the San Francisco area since 1936, including the original Aurora Mandolin Orchestra in the late 1930s. He was concertmaster for "Music for Fun" and the Peninsula Mandolin Orchestra. His quintet called "I Gondolieri" (The Gondoliers) played weekly on the Italian radio station. Gino had his own Trio for 20 years. He was privileged to be asked and honored to play solo mandolin in the California Hall at the 1939 World's Fair on Treasure Island. Many years were spent playing for dignitaries and clubs, including the Bolshoi Orchestra and dancers. Self-taught to a great extent, he attributed much of his success in learning technique on the mandolin to the world-famous Andrini Brothers. Gino's musical friends in San Francisco included people like Nick Sfarzo, Rudy Cipolla, Peter Tarzia, Pasquale Gianuario, Marco De Natale, Matteo Casserino and many others. In 1996 the Aurora Mandolin Orchestra under Gino's guidance hosted the CMSA Convention in San Francisco. Gino was a vigorous and intrepid player….a master of the mandolin who spread the enjoyment of this almost forgotten instrument with his infectious enthusiasm, wit, charm and love of story telling. 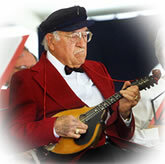 He has taught and coached many people on the mandolin, including his wife, Josephine. Born in Long Island, New York and a resident for most of her life, she raised her three children there. She played with the Long Island Mandolin & Guitar Orchestra for a brief time. Gino and Josephine, both widowed, met at FIGA (Fretted Instrument Guild of America) Convention in Kansas City in 1986. They married in 1994 and she relocated to California and joined his orchestra. She became his assistant and librarian. Josephine is now Director and Conductor of the orchestra. 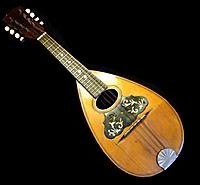 Gino and Jo spent many hours playing mandolin together. 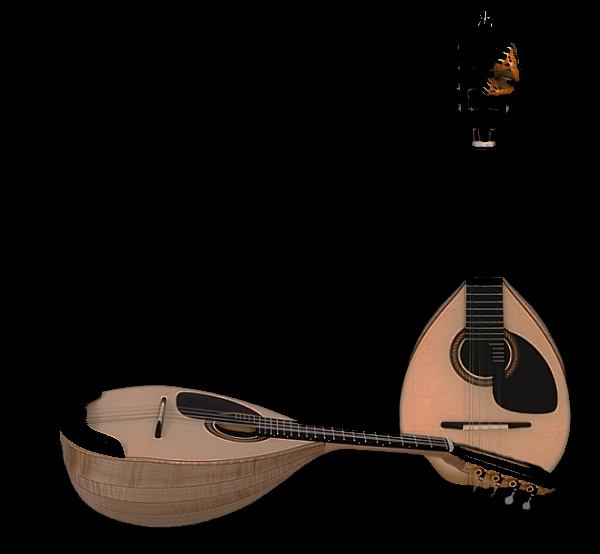 Although she is classically trained on the piano and comes from a musical family, it was exposure to Gino's extensive library of mandolin music that opened up a whole new world for her. 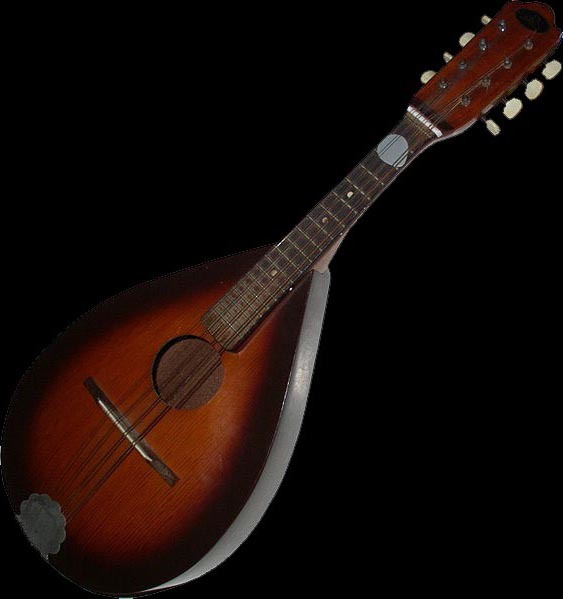 They attended many conventions throughout the U.S. and Canada including CMSA (Classical Mandolin Society of America) and FIGA, making friends from around the world. Click to read article about the Orchestra by Correspondent, Joan Aragone. Aurora,“the Roman goddess of the dawn with magnificent phenomenon and swirling bands of illumination."